The demons of Maglas Stadium continue to haunt Dynamos after they failed to beat Shabanie Mine again in a match played on Sunday afternoon. The Glamour Boys have never collected maximum points at the venue since May 2006 and today they settled for a 2-2 draw. A brace from Nigel Papias for the Chinda Boys was enough to earn a point for a team which suffered a heavy 5-0 defeat in the previous round. Papias first went on target in the 24th minute from the spot following a foul on him inside the box. However, the advantage short-lived as the visitors were also awarded a penalty a minute later which was converted by Blessing Moyo. Dembare survived a scare towards the interval when goalkeeper Tonderai Mateyaunga pulled a great save to stop Tanaka Dhlakama’s dangerous header. Shabanie, nonetheless, restored their lead ten minutes into the second half after Papias intercepted Godfrey Mukambi’s back pass before slotting home effortlessly. Dembare then came from behind for the second time in the 72nd minute courtesy of Obey Mwerahari’s effort. In Bulawayo, Highlanders returned to winning ways when they edged out Herentals 1-0. Adrian Silla secured the all-important goal for Tshilamoya as they ended their three-game winless run. 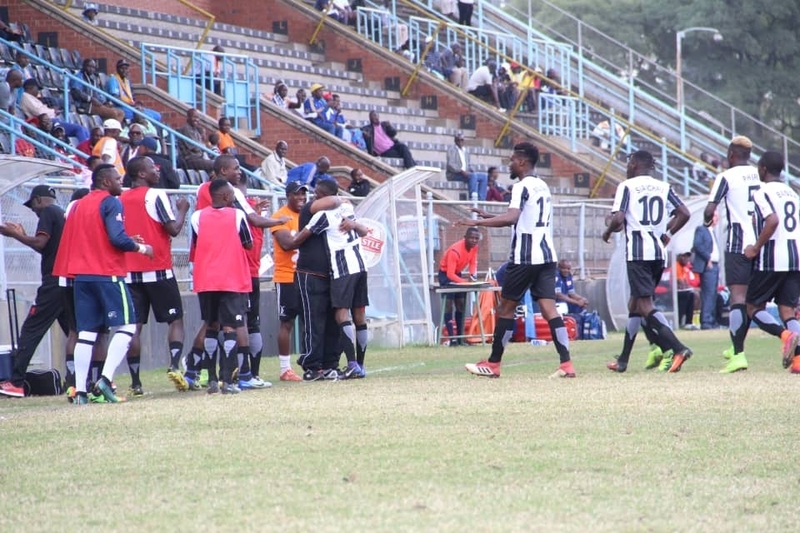 Bosso created several chances in the first half, but only found their breakthrough four after the restart. They could have extended their lead on the hour when they got a freekick on the edge of the box. However, Silla’s strike went straight to hit the crossbar. The Students piled pressure in search of an equaliser, but it was too little, too late as they concede a defeat. CAPS United and Bulawayo Chiefs played to a goalless draw in an encounter played in the capital. Hardlife Zvirekwi made his second appearance of the season, coming in as a first-half substitute for Joel Ngodzo. 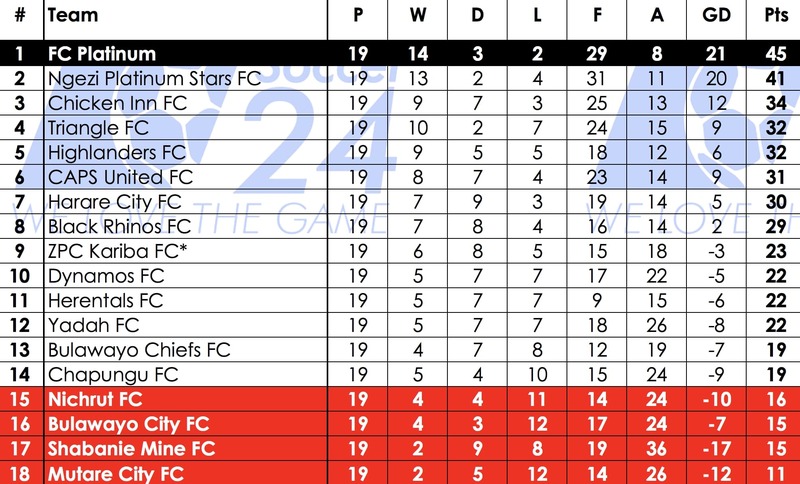 Meanwhile, Chiefs are now three points clear above the drop zone.